It is that time again! 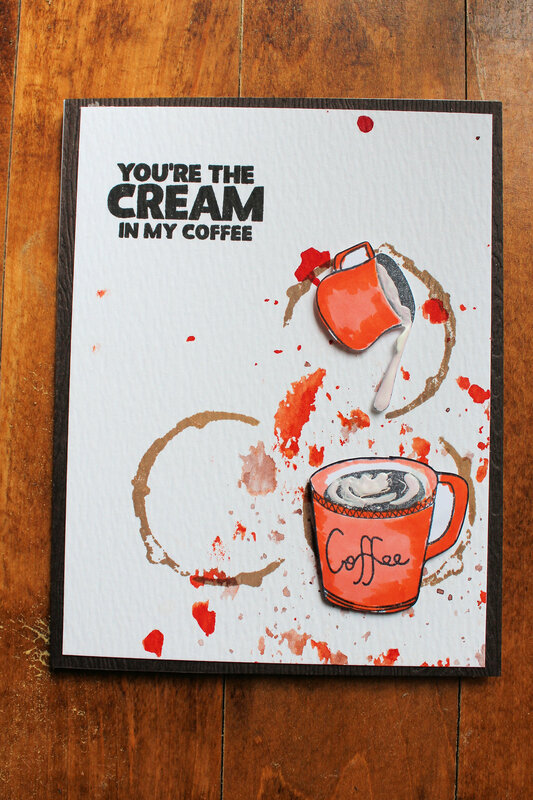 Time for the Coffee Lovers Bloghop. As usual the sponsors are many and mega generous. I am always excited for the hop but this time particularly so, as I have gathered up some coffee stamps and dies that are itching to jump out of the new drawer. 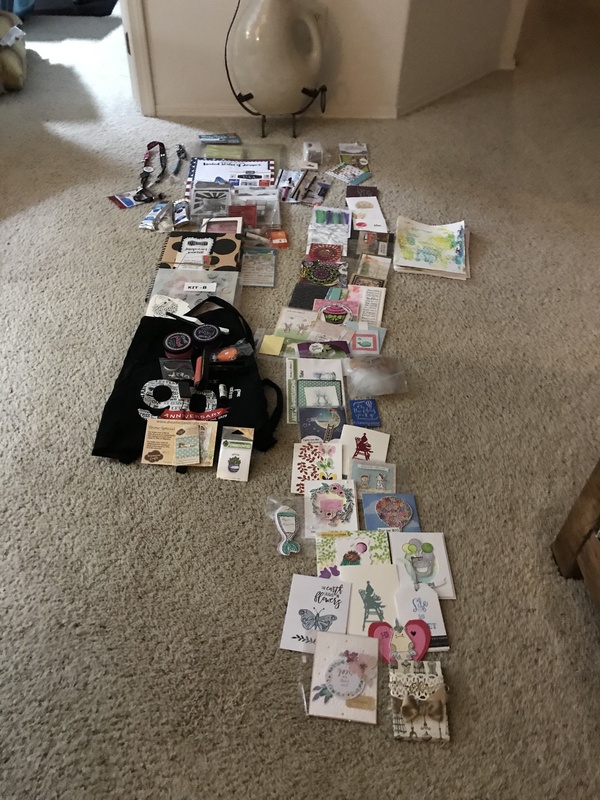 Usually I save my newest stamps for later in the bloghop week, but this time a new stamp set from Altenew , literally flipped out of the “NEW” drawer just begging to be used (ok, it just might be because said drawer is over flowing with new goodies). 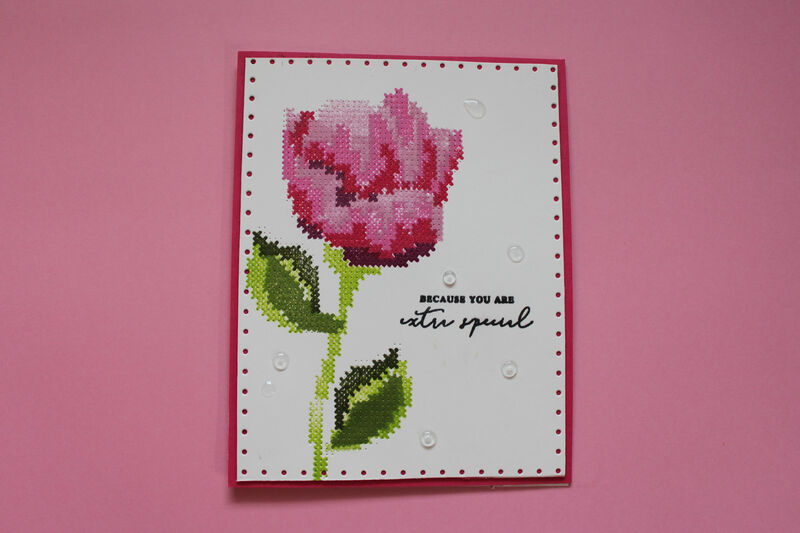 No matter, as this is a large stamp set with plenty of images and sentiments, soit will show up again during this bloghop. I had to make the sentiment take centre stage, as it is probably the biggest reason that I bought the set. I take great pains to never run out of coffee and the coffee I prefer is quite expensive (fair trade participant). This means I watch intently, for sales. 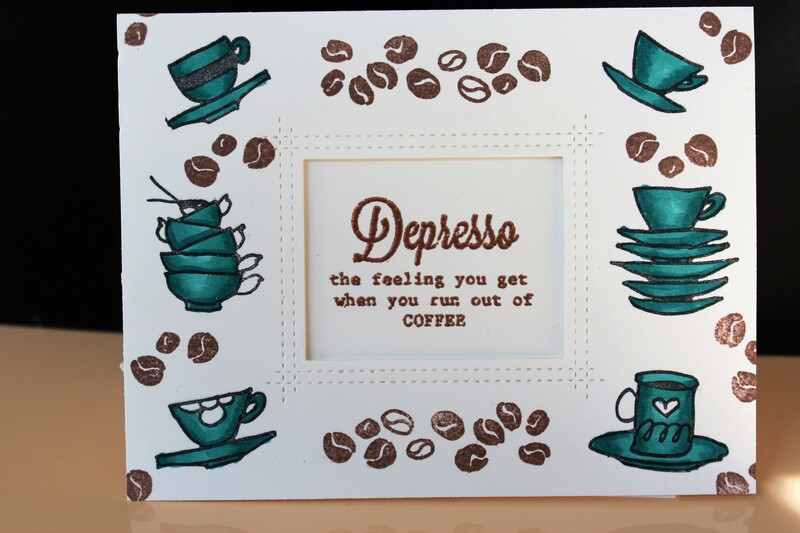 I get quite “depresso” when there hasn’t been a sale and I am in danger of running out of my beloved coffee. 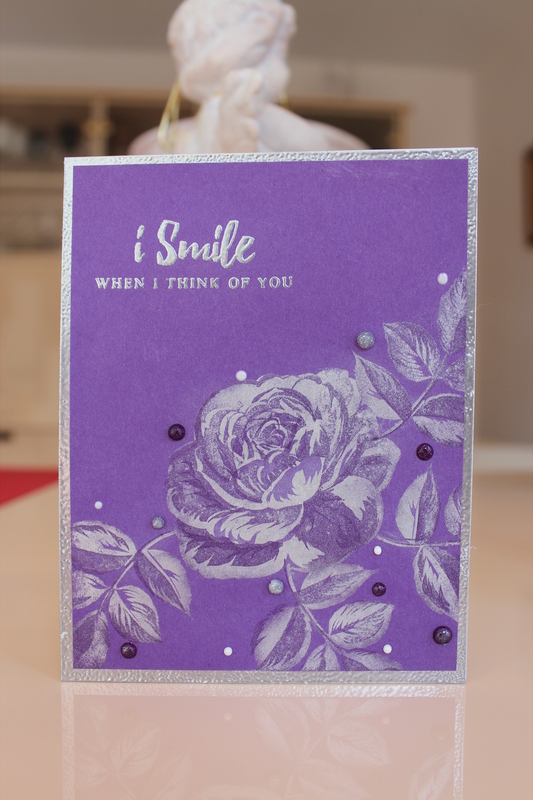 I recently purchased the Sewn with Love stamp set and die from Altenew. 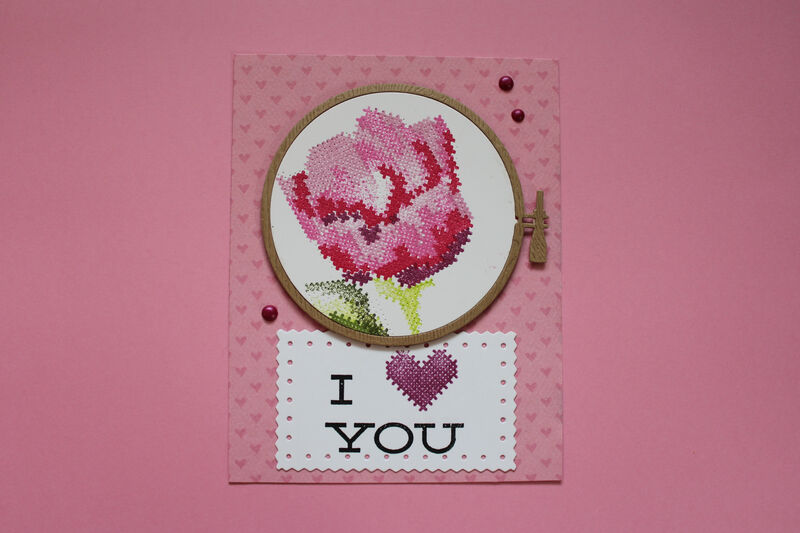 This is a layered stamp that mimics the look of Cross Stitch. What is totally amazing about this set is that the matching die is not a die at all but rather serves to add pinpoints to the image. 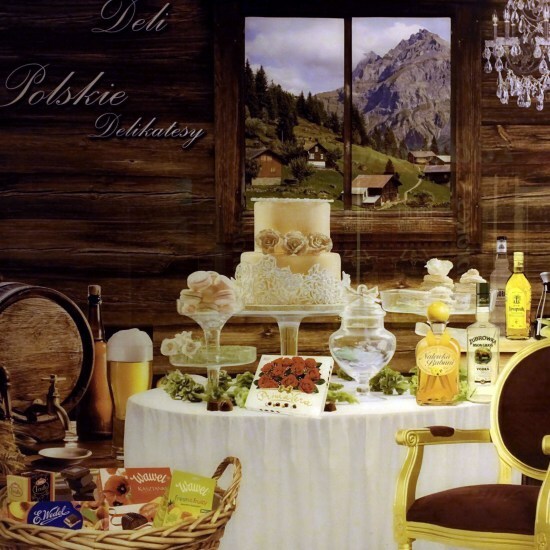 The result is a stunningly realistic cross stitch looking image. Now for the bad news. I must be cross stitchally (?) challenged, as I did not find this set “easy” to line up in spite of many reassurances from tutorials on the internet. In fact, my craft room could now be wallpapered in a slightly askew cross stitch pattern as I have that many rejects. All is well that ends well though, and I did get the hang of it eventually. 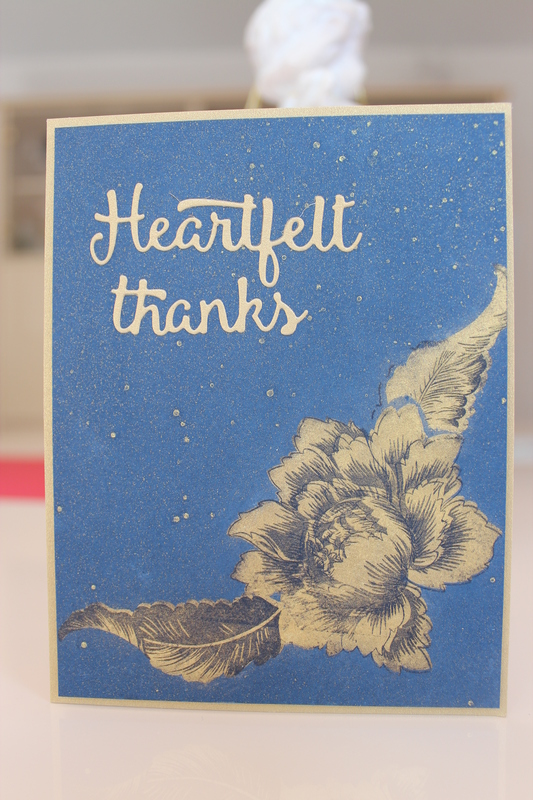 The Wednesday Challenge this week at Simon Says Stamp is Masking and the featured stamp company is Altenew. I love Altenew stamps and I just received the Peony Bouquet stamp set in the mail so why not use it. I have to say this project did not come easy. First I had an idea in my head that I just could not seem to get on paper. The first peony was absolutely perfect, the colours were wonderful and the layering spot on, but things began to unravel after that. 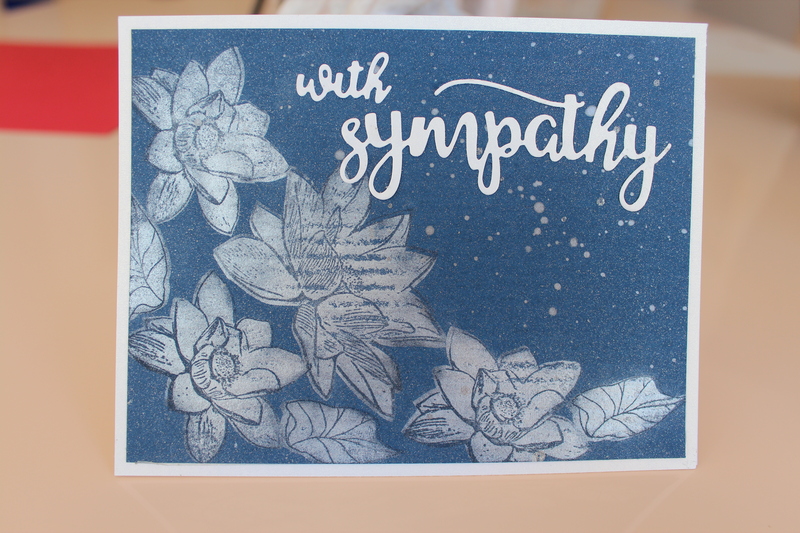 First I dropped an inked image on the card front and then smudged it some more with an inky finger. Next attempt I didn’t like the colours and the attempt after that my paper shifted unbeknownst to me in my Misti. And then, well you get the picture. I had to go to bed before there was craft room road rage. Today was better and here is the resultant card. Supplies: Altenew Peony Bouquet Stamp set, Woodware Mr & Mrs stamp, Recollections cardstock, Hero Arts and Simon Says Stamp dye inks, Recollections embossing powder, Simon Says Stamp card base and Scor tape. I wanted to enter the Altenew Inspiration Challenge for May. After several attempts that just looked so much better in my mind’s eye than on paper I came up with this one. I was inspired by the mosaic look, the blue and yellow and finally by the fact the picture was from Australia. 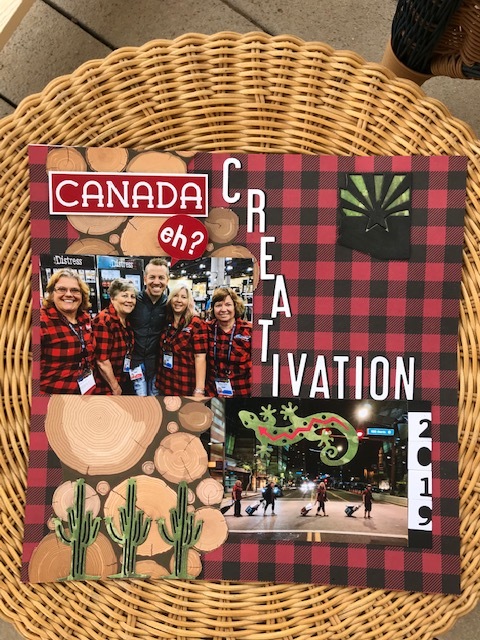 When I first looked at the photo given for this Inspiration challenge, I was a bit stumped. Usually, I try to incorporate all that I see in some way. This was impossible with the multiple elements in the photo. It was a good challenge as I had to pick out the pieces that spoke to me and create something from that. I decided that wedding (even though I understand it is a bakery window), ivory, gold and lace were the elements that stood out for me and could serve as the inspiration. Here is the inspiration photo, followed by my entry into the challenge. Supplies: Altenew Layered Lily, Sketchy Cities America and Fresh Freesia stamp sets, Delicata gold Golden Glitz ink, Tim Holtz Doilky stencil, Hero Arts Soft Sand, Soft Yellow and Sparrow inks, Neenah 80 lb natural white and ivory card stock. 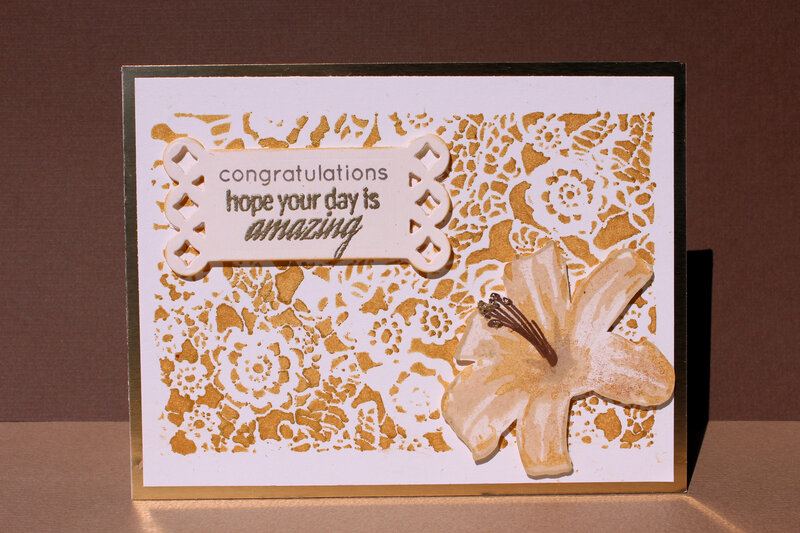 Recollections ivory card base, Spellbinders Fanciful Lattice die, DCWV foiled cardstock, Recollections Gold embossing powder and Scor tape. 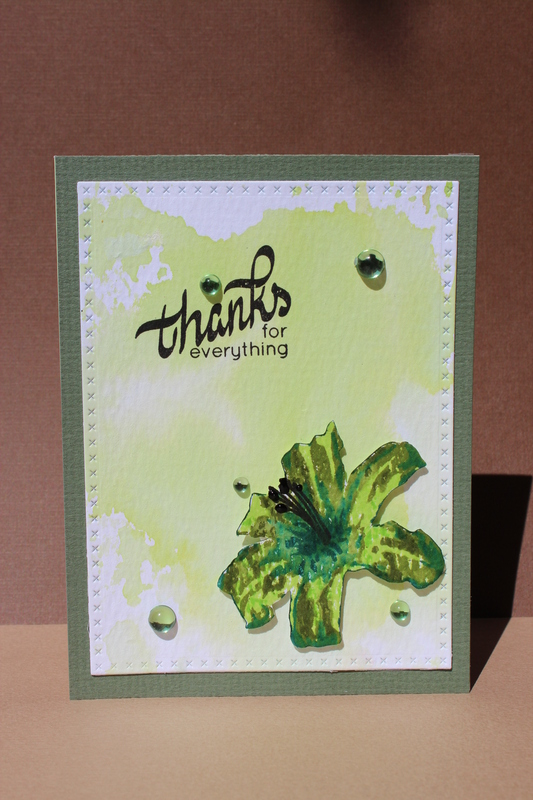 The Monday Challenge over at Simon Says Stamp is use lemon, lime or otherwise bright fresh neon. I recently acquired most of the Twisted Citron family of inks, so I decided to try them out. I like the look of the ink smoosh technique using a piece of plastic. At least I like it when other people use this technique………… I intend to keep on practicing until I get it right.